Then wait for the Magic! I can not believe how incredible this makes my laundry smell.This is by far the best product! I LOVE it!And particularly love the fact that many days later, as you put on clothes, change the sheets, everything smells absolutely wonderful! I am 100% sold on this product! I have only tried the ‘fresh mountain breeze’ so I can’t speak for all the scents, but this one is such a fresh, clean scent that stays with you all day,I will be buying other scents as soon as I am done with my full size.All thanks to Purex Insider for giving me chance to try and test this amaizng product. 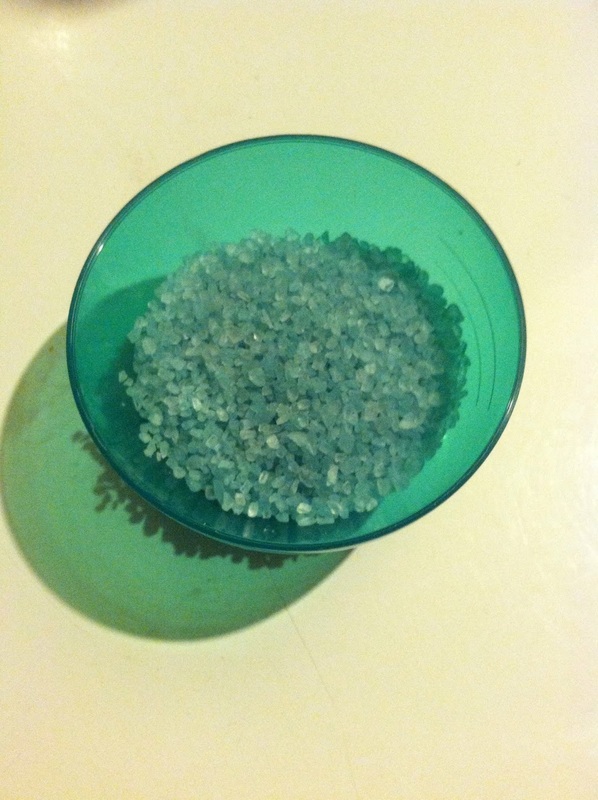 Where can I buy Purex Crystals? 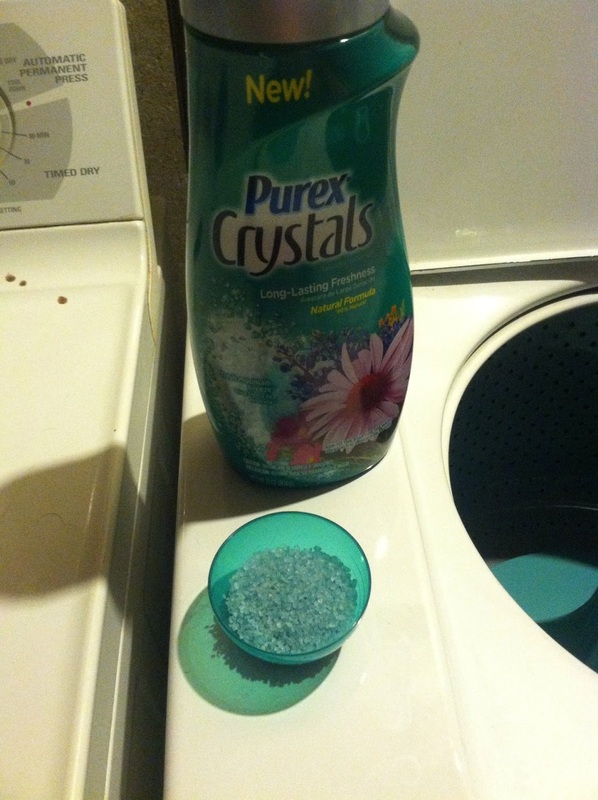 How does Purex Crystals work? 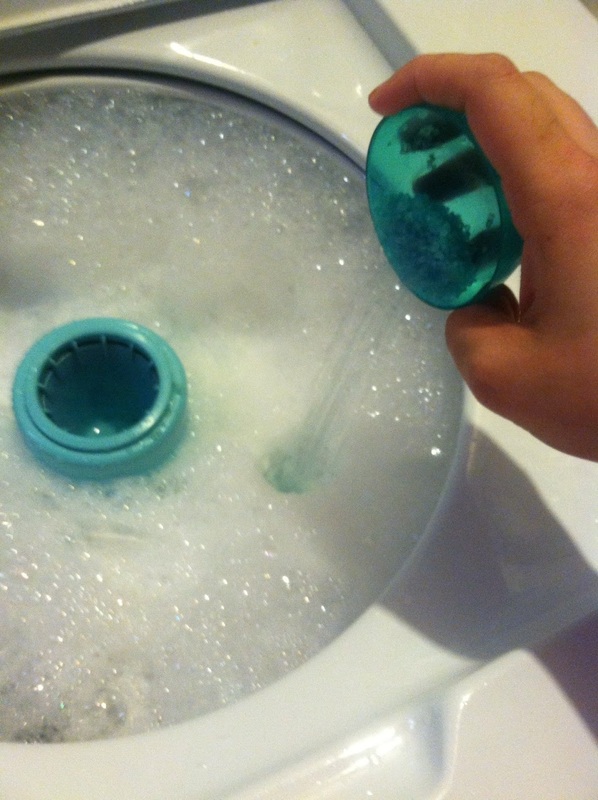 Add Purex Crystals at the start of the wash cycle with detergent—no need to wait for the rinse cycle or use messy "softener balls" to get great freshness. This way it spends more time with your laundry, infusing it with fresh scents that can last for weeks, not days. 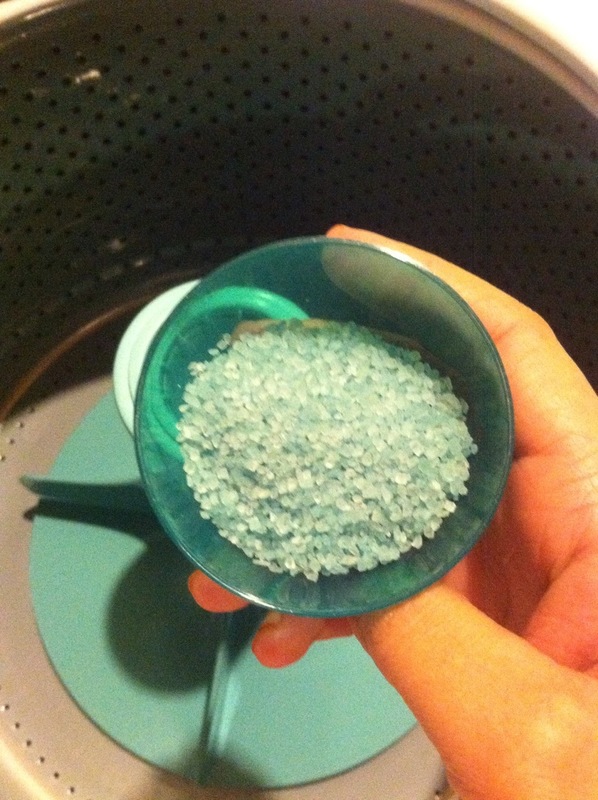 Are Crystals safe to use in any type of washer? Yes, Crystals are specially designed for use in both traditional and high-efficiency (HE) washers. 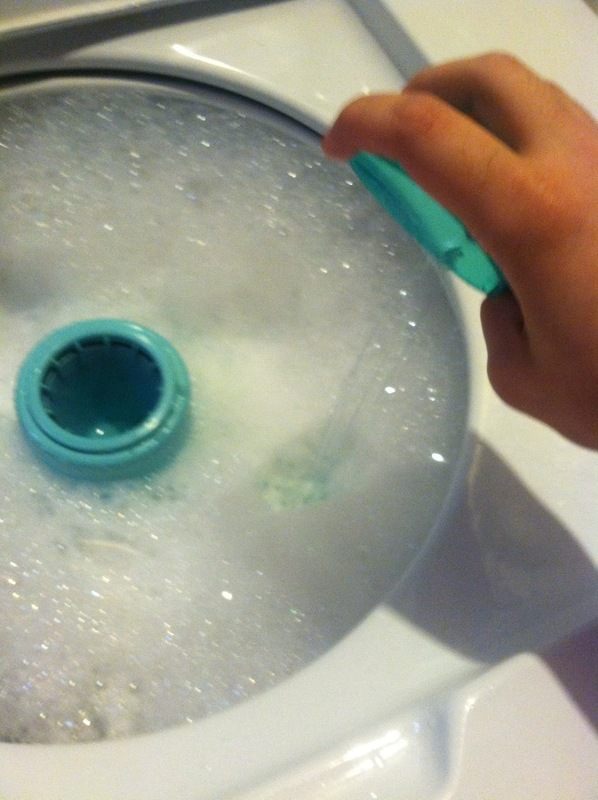 Just add them directly into the washer with laundry before you start the wash. I love fresh smelling laundry. I'l have to give this a try. I would pay off my vehicles! Ohh, I'd love to try the lavender blossom scent! I've heard a lot of buzz about these and I really need to try it. Purex is a great brand, so I am sure I would love them! I have never heard of this product. Thank you so much for sharing this product with us. I so wanna win some of these. I sent my hubby to the store a few weeks to buy some but he brought a box of Purex home instead, lol. I have seen ads for these and have seen them on the shelves at the store, but have not tried them. I will have to rethink this after reading your review. I bet these do smell really good! Thanks for the awesome giveaway! I love Purex Crystals! I use them in my towels load. Use it as a down payment on a bigger house! i'd love to try this- my son and hubby have the stinkiest sock laundry! I would love to try this! Specially on my son's clothing! I love Purex Crystals! I have not tried this scent out yet though! I love Purex Crystals. IU will get this when I go to town next. I have not tried crystal detergent. This sounds like something interesting I would like to try. I love the smell of laundry soap. I can only imagine how good this one smells with the name of it's scent! I would love to win this-- pyrex is the brand we use, but I have never tried crystals! If I win 65K, I would purchase 2 new cars - ours are old and getting run down. I would also pay off part of my mortgage. I use this - it makes my boys soccer uniforms smell SO much better! So many ways to spend 65K, but first a month long trip. 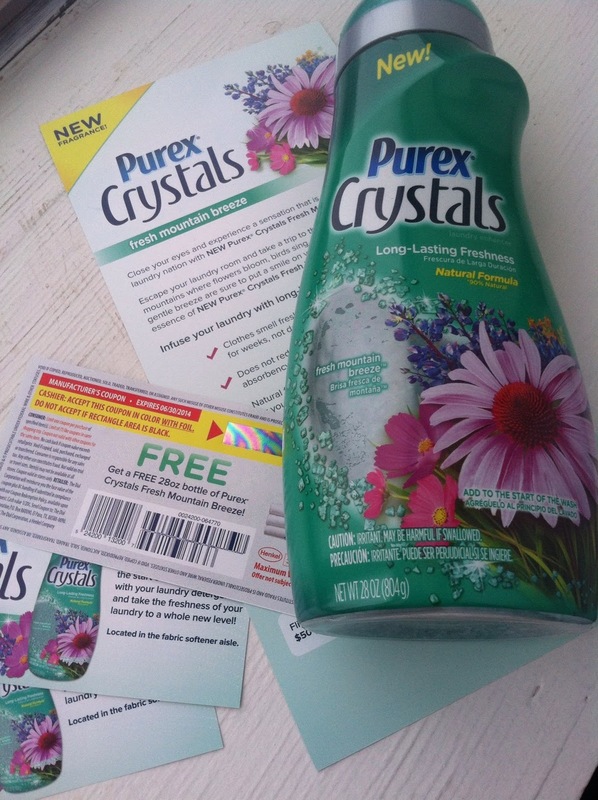 I've seen the purex crystals but never thought to buy them. I'll now have to reconsider the next time I go to walmart. If I won 65K I would first put half of it away fro taxes. I would then pay off debt, get a decent used vehicle, and catch up on things my family needs.